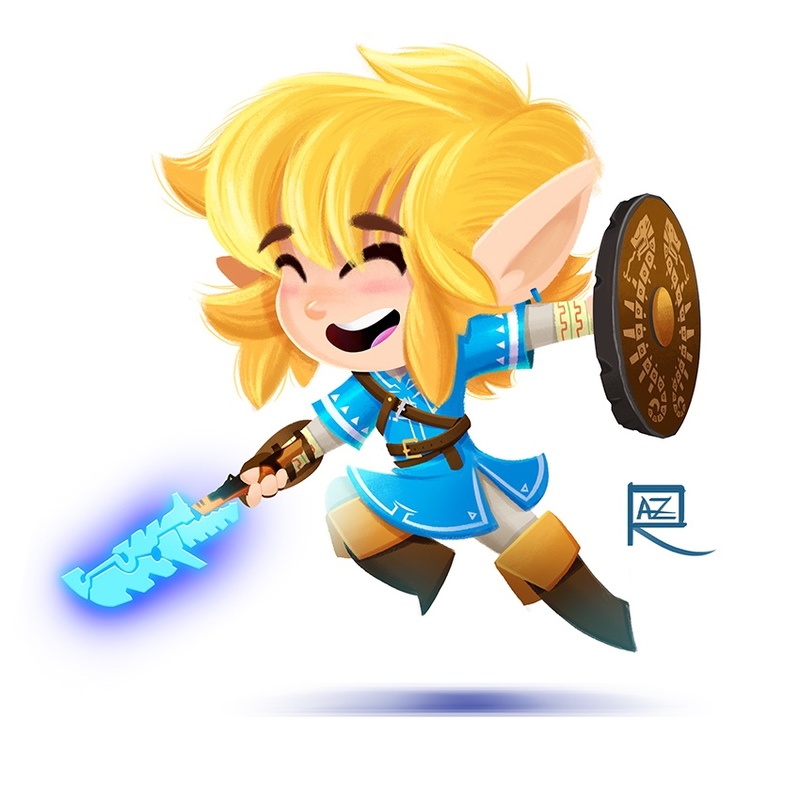 I’ve been meaning to do a little Link in Breath of the Wild. 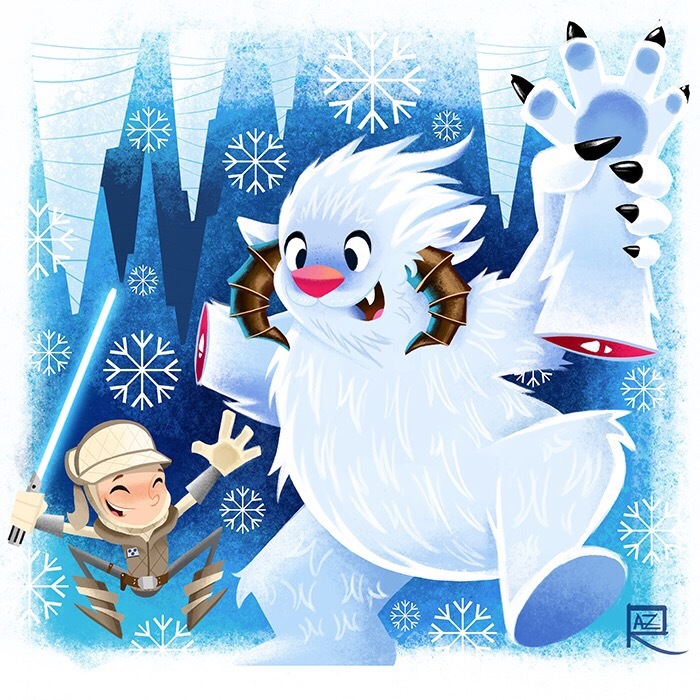 I wanted to make a kind of a children’s book illustration of the Luke and Wampa scene in Empire. This is from one of my favorite episodes “Vault of Bones”. 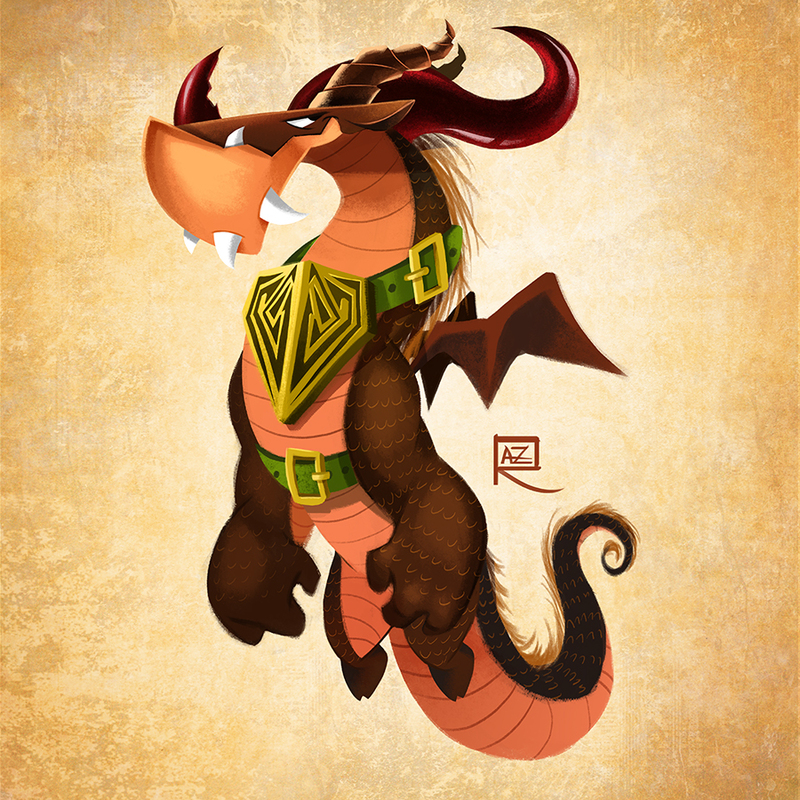 Another one of my original Dragon designs. 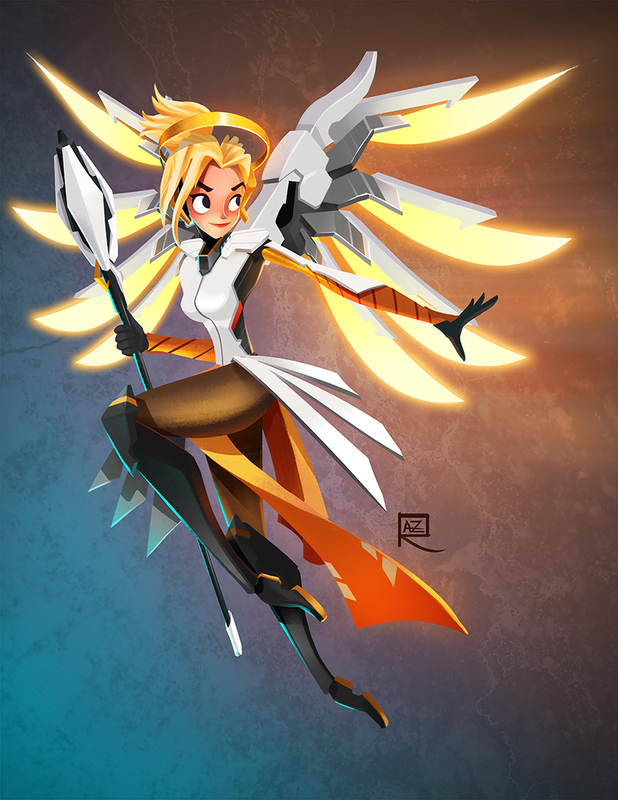 One of my favorite Overwatch Characters! 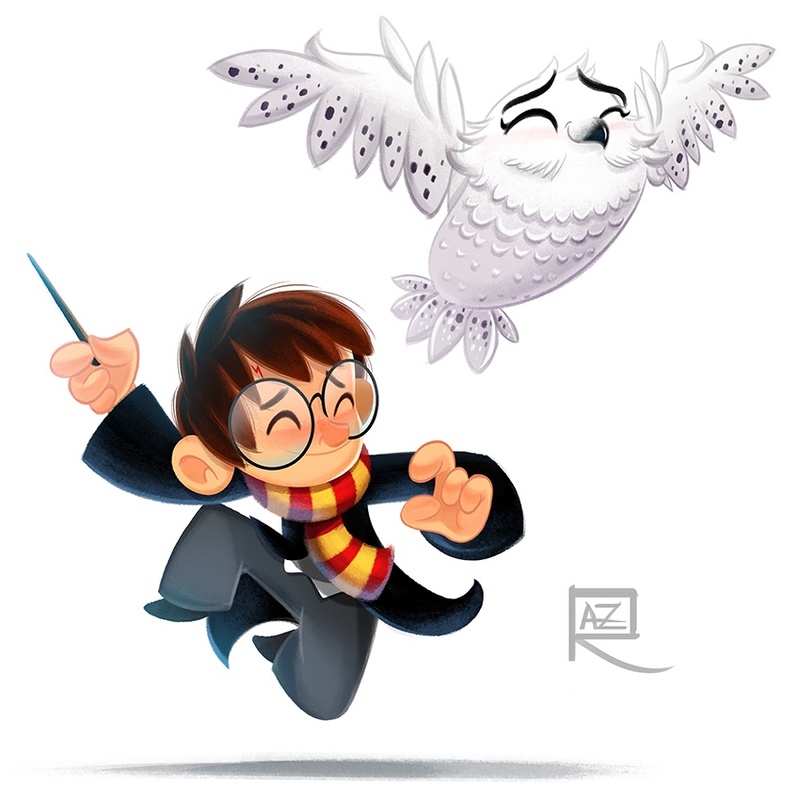 This is a piece I did for a private gallery. 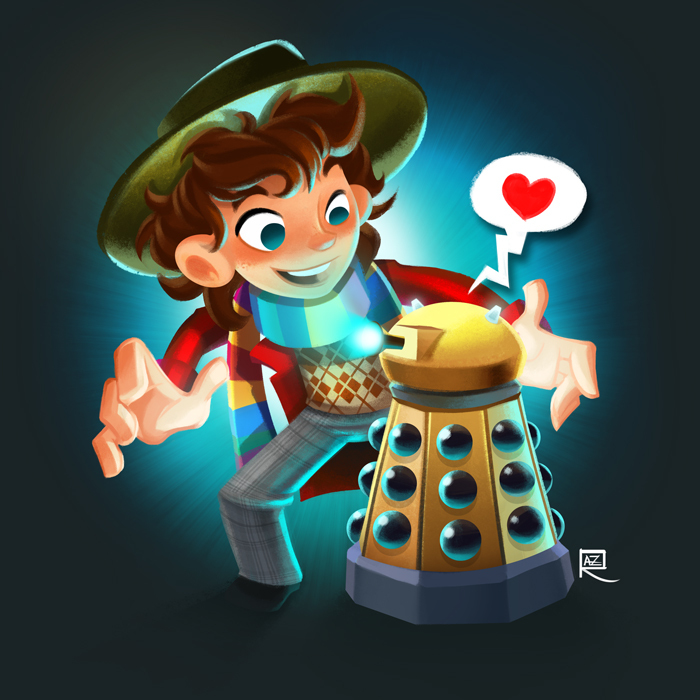 I wanted to do a cute Doctor and Dalek dynamic. They don’t always have to fight, right? 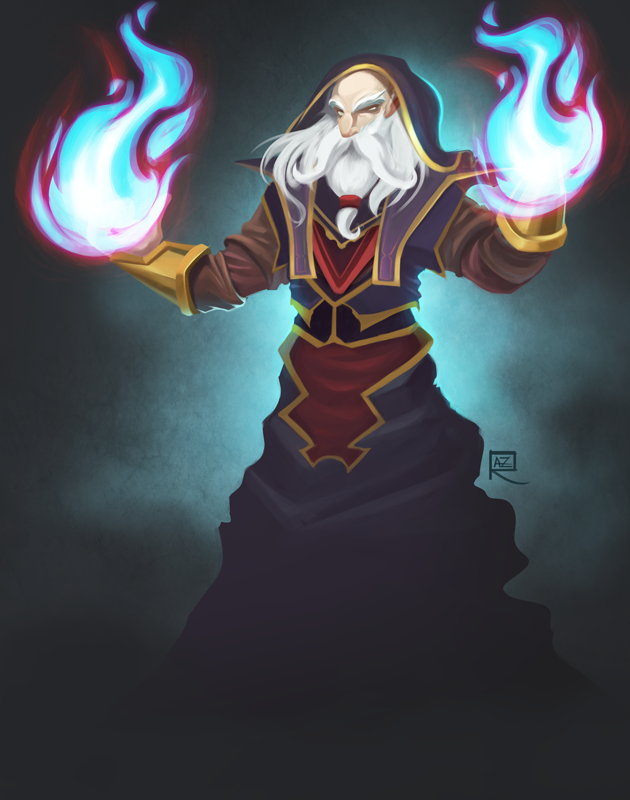 Who doesn’t like wizards.. I mean really? 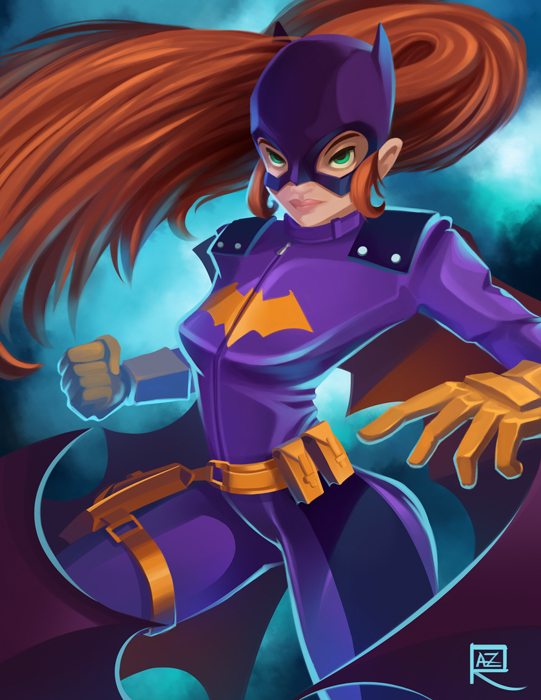 This is another Batgirl, this time with the semi-new costume. 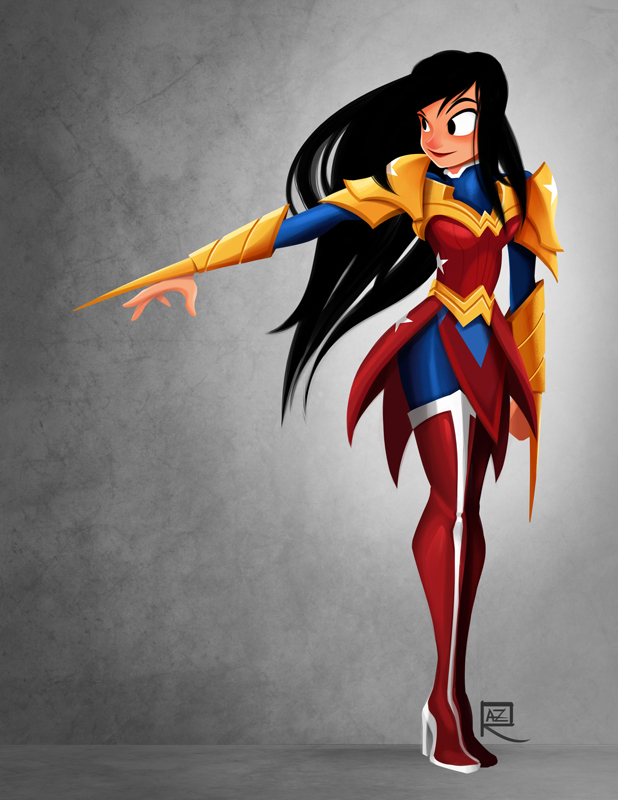 She’s pretty close to Wonder Woman as one of my favorites as well. 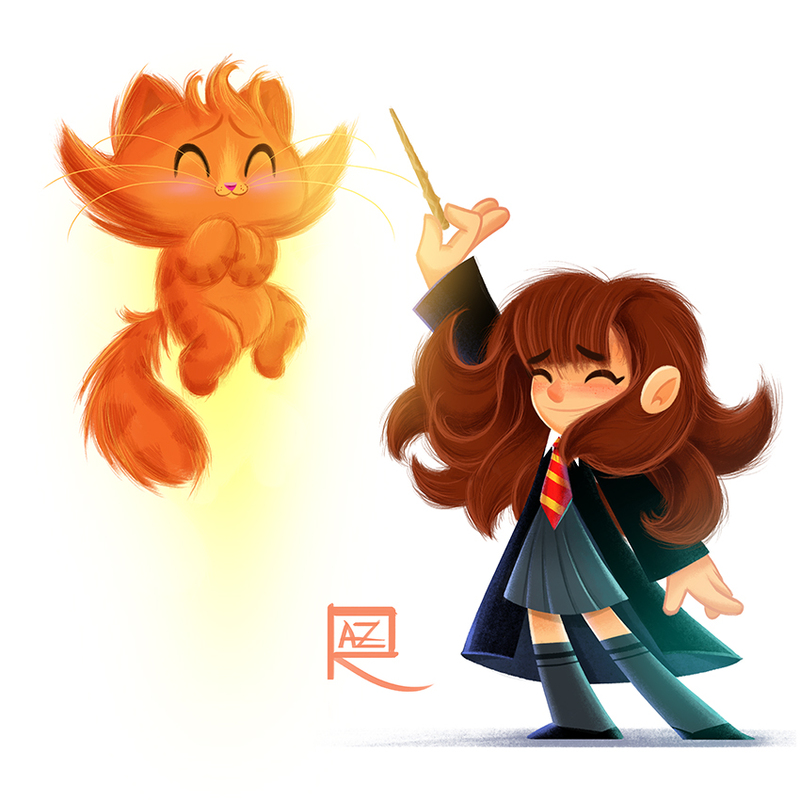 I absolutelly love drawing her, I can’t resist that electrifying red hair. Another day, another Wonder Woman… As I’ve said before, she’s my favorite heroine to draw. 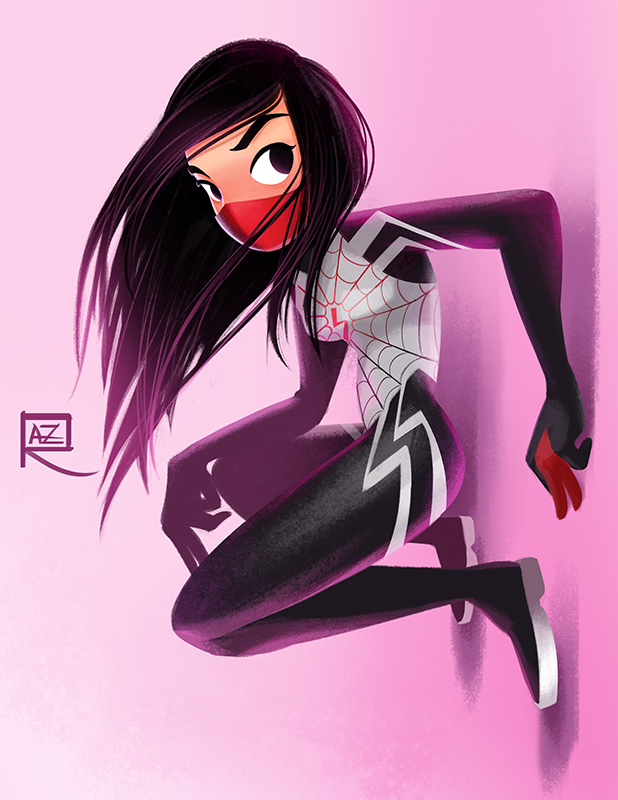 This is my take after the announcement of the new costume. Go WW! 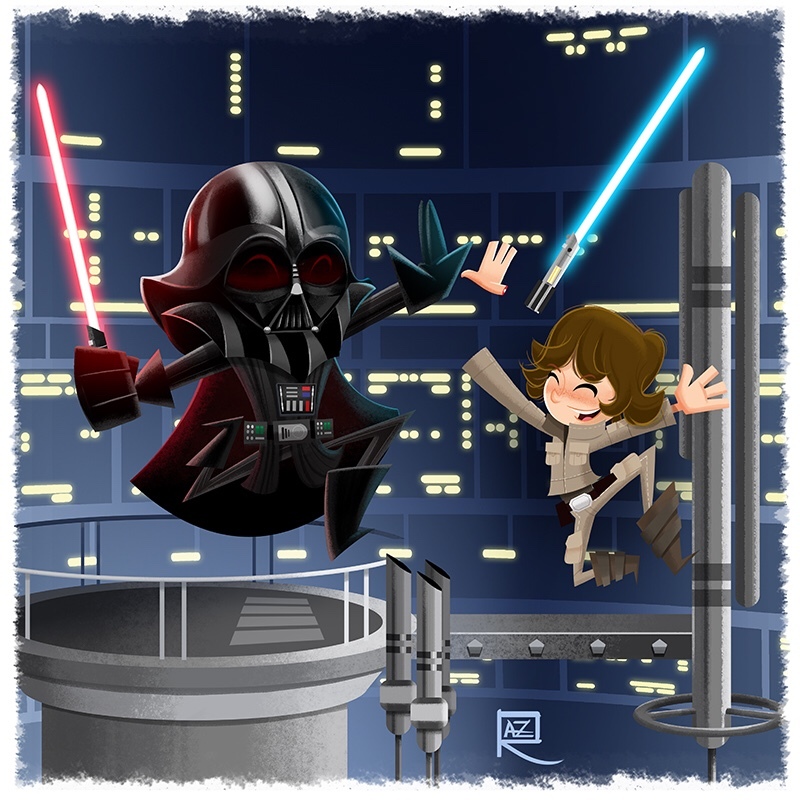 This is cute rendition of the Episode IV holding cells escape scene. I usually like to turn up the “cute” dial way up to 11 when I get the chance. 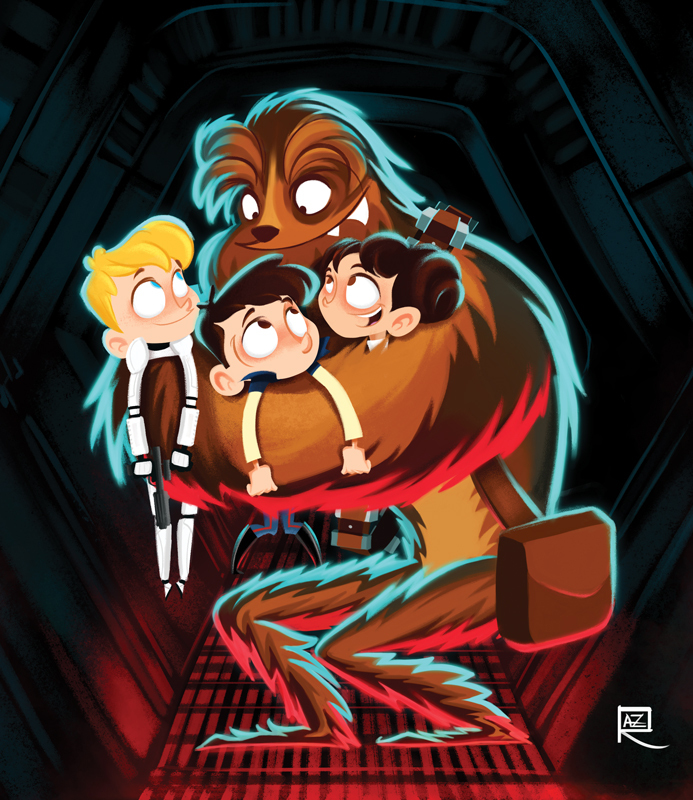 Lots of people loved this at this year’s C2E2. Thank you all! 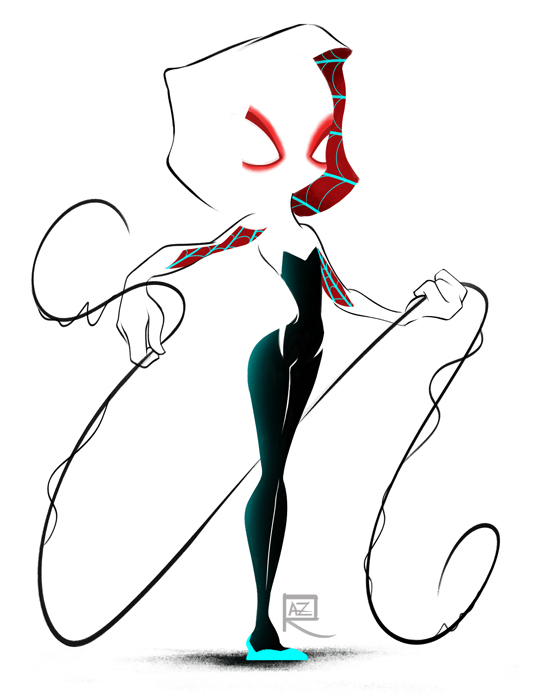 This is sort of a semi-minimalist Spider-Gwen. I think the design for this character is amazing and I wanted to join in the fun myself. 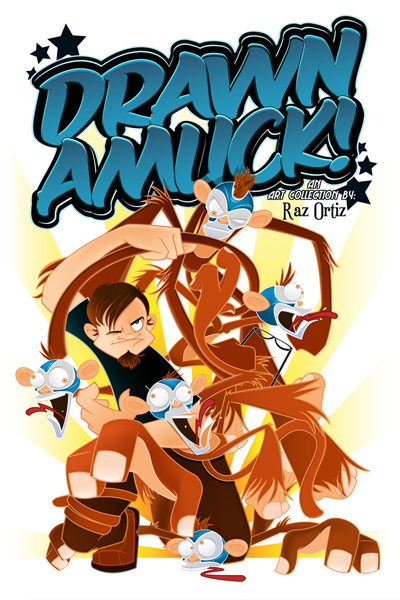 Getting ready for C2E2 2015! Reminder again! I will be at this years C2E2 Artist Alley with Bill Halliar. Please stop by and check us and a lot of fantastic artists. Hey good people. 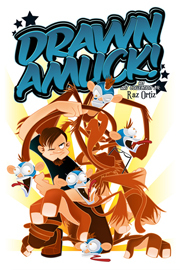 I will be at the Artist Alley at this year’s C2E2 at McCormic Place in Chicago. 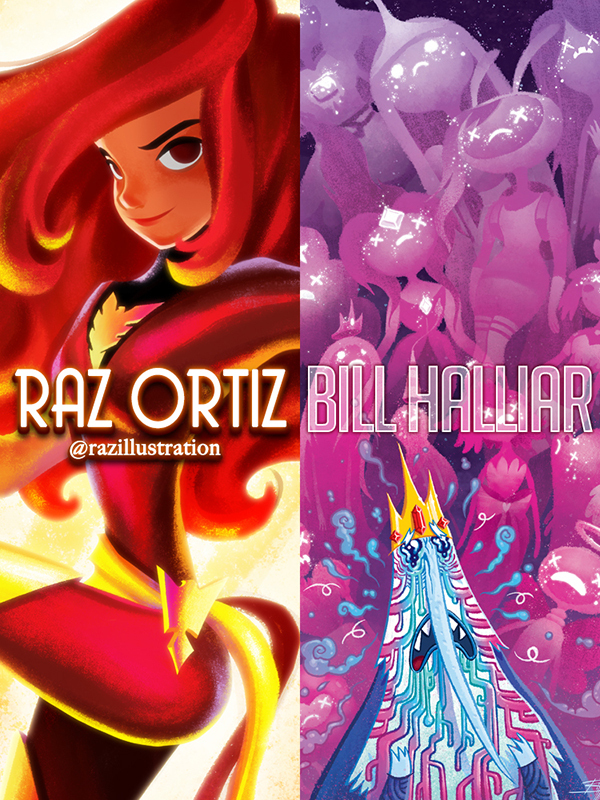 I will be sharing a table with my good friend and super illustrator Bill Halliar (@skeletongue). Please stop by, great art, great people, maybe some deals? We’ll see you there. 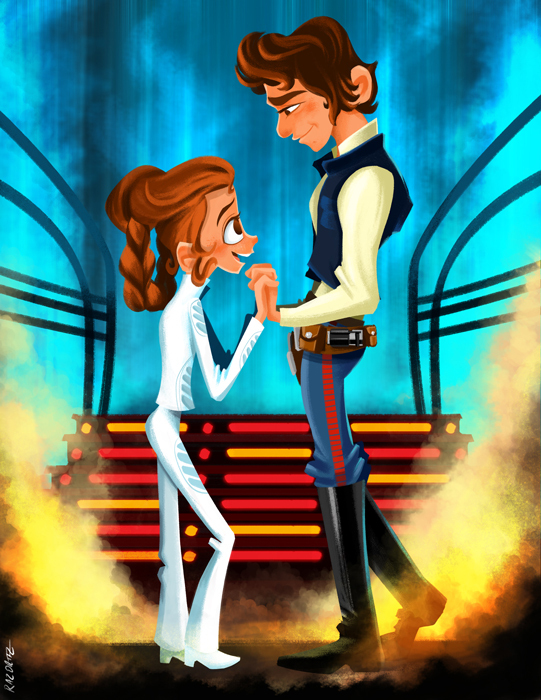 Probably one of the most famously romantic scenes and dialogue. At least in geek kingdom, in which I am a permanent resident. I wanted to write the famous “I love you…” “..I know” lines somewhere on this, but I couldn’t find a good place for it. Maybe I’ll write it in like a Little Golden Book style. My favorite video game franchise of all time. 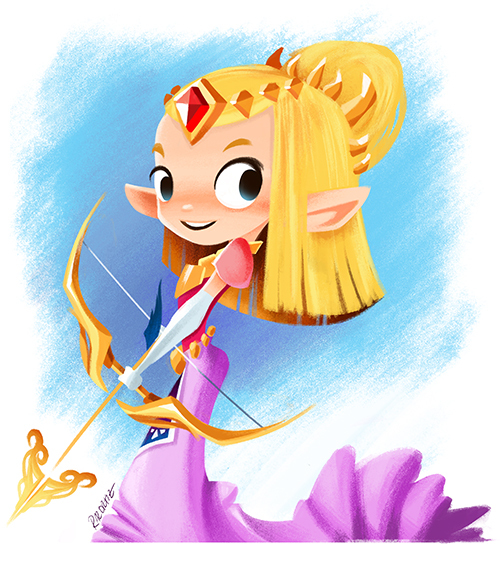 I grew up playing the first NES Zelda game. I can still remember the endless days playing it with my brother. The golden cartridge was always such an iconic characteristic of the game. When I first opened it I knew this game would be special. Hey good folks! I am officially on Instagram. I gotta admit, it’s pretty great and easy to show some art. 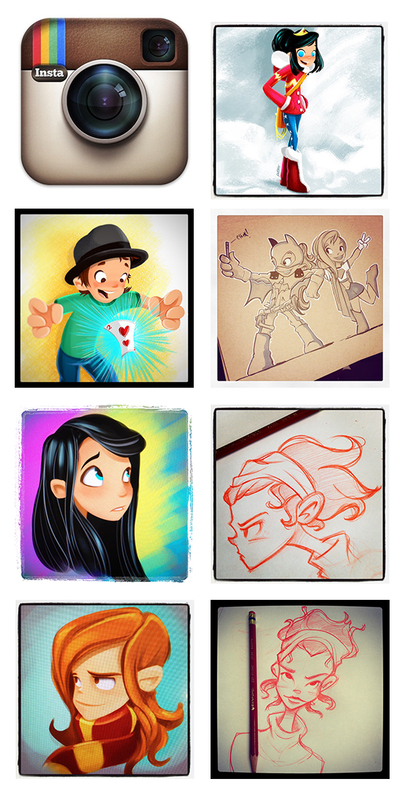 As well as see some wonderful artists post sketches and Illustrations. Follow me! 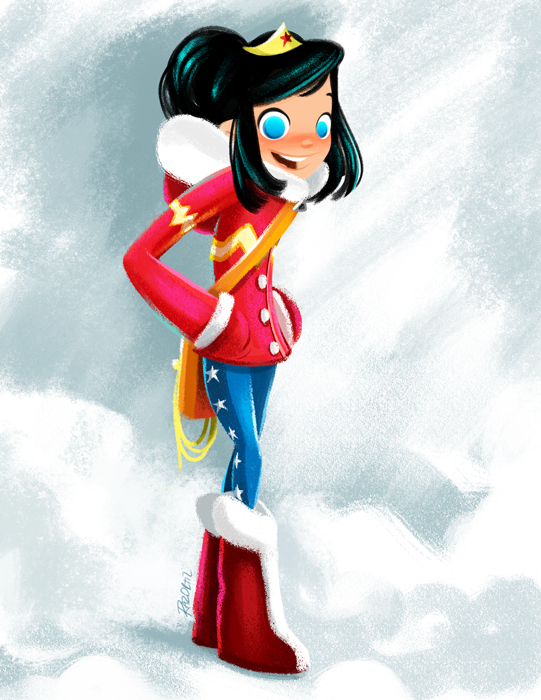 Thought of a cute way to show WW in a wintery cute scene. Thinking of expanding the scene. 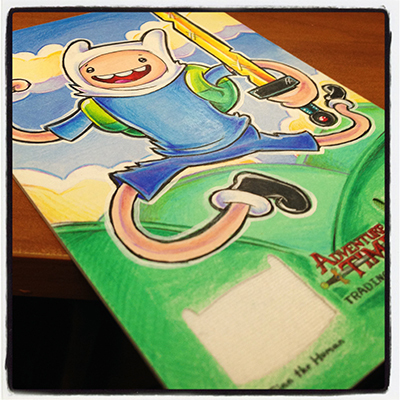 Adventure Time Trading Card Game Sketch Cards! 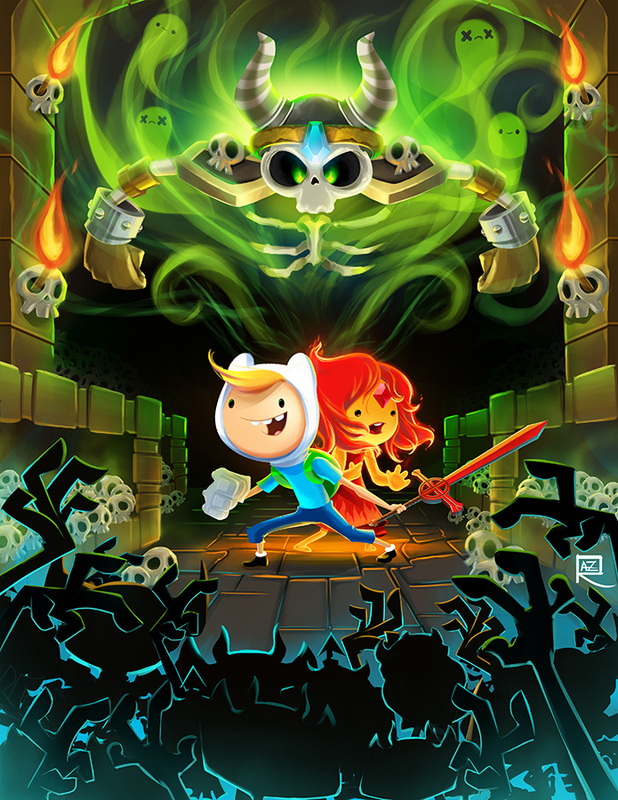 Ok, so I’ve been holding on to this since last year, but it was announced last week and now I can finally talk about it. 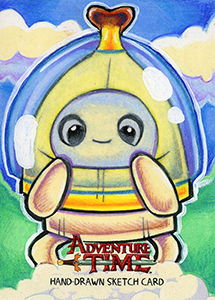 I was fortunate and humbly blessed to have been invited to contribute to the Adventure Time Trading Card Game Sketch Cards by the wonderful folks at Cryptozoic Entertainment and Cartoon Network. 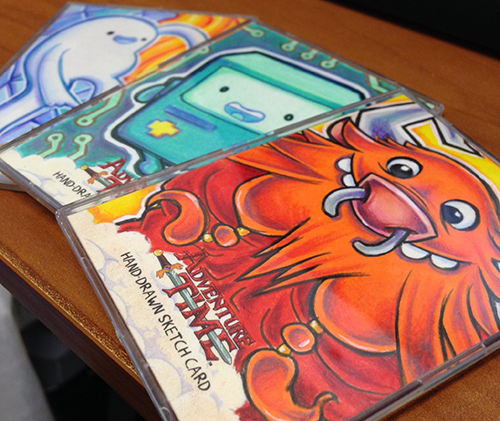 I feel extra lucky to have my name and a couple of my cards used on the Cryptozoic website. If you’re really, really lucky you might get a Special Oversized Sketch Redemption Card featuring Dual Totally Fabricated Wardrobe Patches. And these are really something special, you absolutely have to see these in person. Cryptozoic Entertainment has their finger on the pulse of Trading Card Game fans and they know how to absolutely blow their minds and these are a sure way.